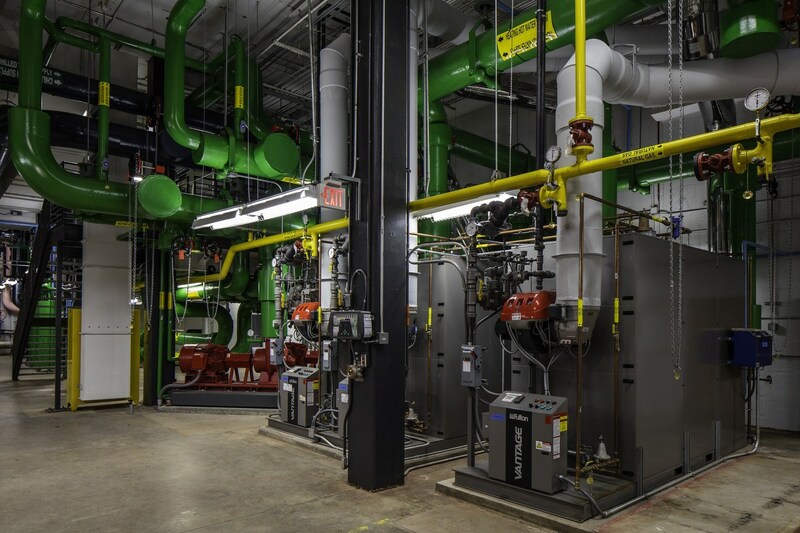 UVA wanted to address the aging infrastructure of their North Grounds Mechanical Plant, which serves the prestigious Business, Law and JAG Schools. As part of their mission to help make the Commonwealth one of the nation’s best places to live and work, UVA also wanted to look at the environmental and social impact of the plant, all with the intention of designing to LEED® certification. 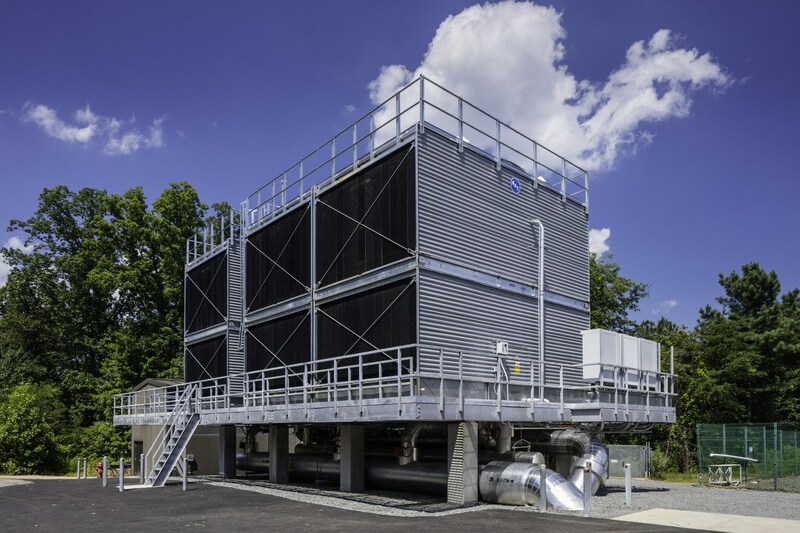 HGA conducted a comprehensive energy analysis and found the heating and cooling needs of UVA could be best addressed with heat recovery chillers that heat the hot water system with energy rejected from the cooling loop. The control strategies set a new standard for utilizing heat recovery equipment. The team identified plans for a modest expansion of the existing building to accommodate a 75 percent increase in plant capacity, improve maintenance accessibility and accommodate phasing since construction occurred while the plant maintained service to the North Grounds buildings. 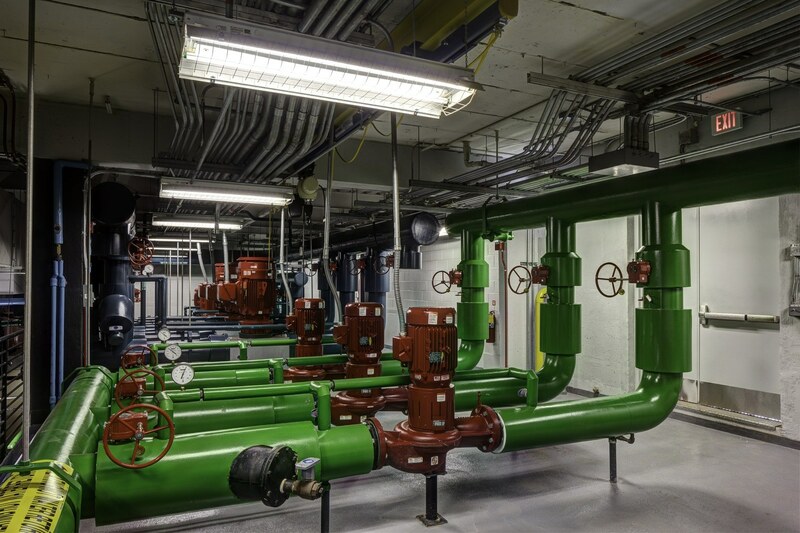 After the first year of operations, overall plant energy use was reduced to 51 percent, greenhouse gas emissions dropped by 46 percent, and water and energy costs were reduced to less than half the original annual energy costs. 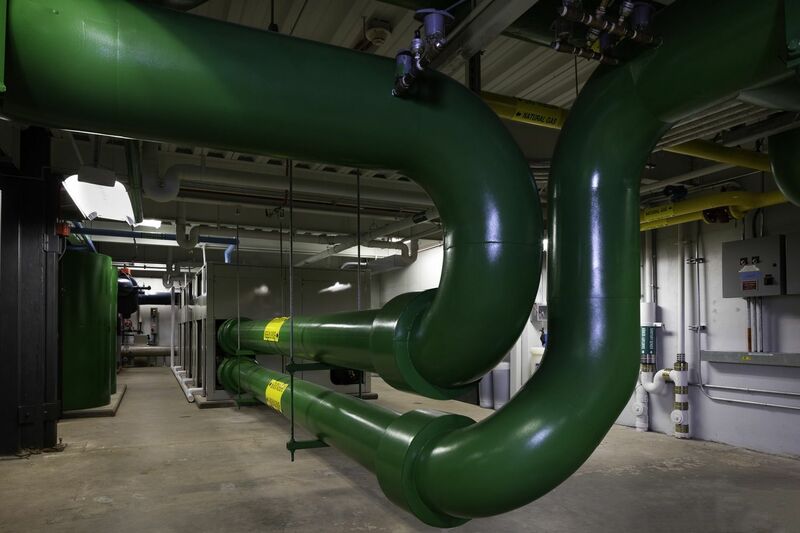 The annual average chiller plant energy efficiency is 0.40 kW/ton, half that of unoptimized new plants.